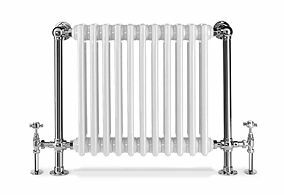 Centre to Centre350mm / 13.78"
Valve Pipe Centres800mm / 31.50"
Wall to Centre Tapping115mm / 4.53"
Portland 2 Traditional Radiator: 725mm x 570mm available in Chrome, Gold, Nickel, and Coloured powder coat to suit with 3 fuel types; standard Water, Electric, or a Duel Fuel combination. 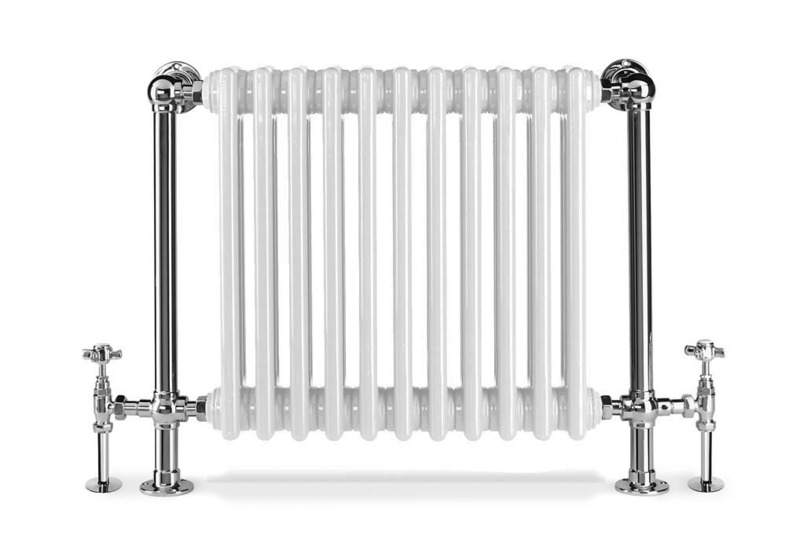 The Portland traditional radiators are another great space saving design which offers great looks with the output to match. 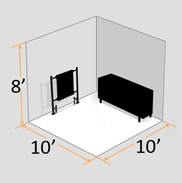 Specially designed to fit where there is little wall space such as under low window sills or on conservatory dwarf walls. Made using traditional techniques and available in a range of finishes and colours to compliment any room setting. If this design is not quite suitable for your requirements why not try our Blenheim Range or take advantage of our bespoke services. We can assure you that all of our products are manufactured from the highest quality materials, thoroughly tested, delicately handled and then delivered to you swiftly and securely. For these reasons we are able to offer a 5 year guarantee on all our own products! If you have any queries or require any further assistance, don’t hesitate to give us a call on (01889 221 000). Our staff will be happy to help you.